The opening scene of Anne Hillerman’s new mystery hooked me immediately. When Officer Bernie Manuelito stops a driver for speeding, the man’s peculiar behavior, and the rifle and two boxes of dirt in his trunk, set up the first pieces in a complex puzzle. Two related mysteries seem separate at first, linked only by the fact the Bernie is working on one case and her husband Jim Chee on the other—which takes place on the set of a zombie movie being filmed in Monument Valley. The plot is well crafted, with plenty of twists and red herrings, but there’s more to this book: the characters, their relationships, and the settings. The author has a gift for portraying vivid personalities and writes with insight into family and friendships. It’s not easy to write a happy marriage and keep it interesting for a reader—conflicted relationships provide a lot more material—but she does it well with Chee and Bernie. The ongoing stories of Bernie’s aging mother and troubled sister are woven into the mystery plot in a natural and effective way. Joe Leaphorn remains a powerful presence. Though nothing is written in his point of view, readers who’ve known him for many years and many books can feel his continuity and integrity. He may be in the background, but his dignity, determination and astuteness haven’t faded, nor has his importance to the younger officers he mentored. As in Spider Woman’s Daughter, Hillerman peoples this book with memorable secondary characters, such as Chee’s entrepreneurial clan relative Paul, and the very traditional Mr. Tso. Navajo culture and language are integral to the story and the protagonists’ lives and world views. I liked the way Bernie relates to Mr. Tso as an honored elder, not just a potential witness. The dialogue in English that represents conversation in Navajo is respectful even when intimate, as if every word is framed in a space of meaning and thought. The sense of place is perfect, from the movie-making, tourism and geologic beauty in Monument Valley to Mr. Tso’s little house near Ship Rock. This couldn’t be set anywhere else. Midway through the book, Bernie’s mother’s neighbor, Mrs. Darkwater, is working on crossword. A clue in the puzzle provides a clue not only to an element of the plot, but to a deeper theme in the book. The word could be applied to Mr. Tso as well as to something Bernie discovers in those boxes of dirt, as progress and preservation, old ways and new, intermingle or collide. This is a mystery with substance, true to the Hillerman tradition, a strong addition to the series. 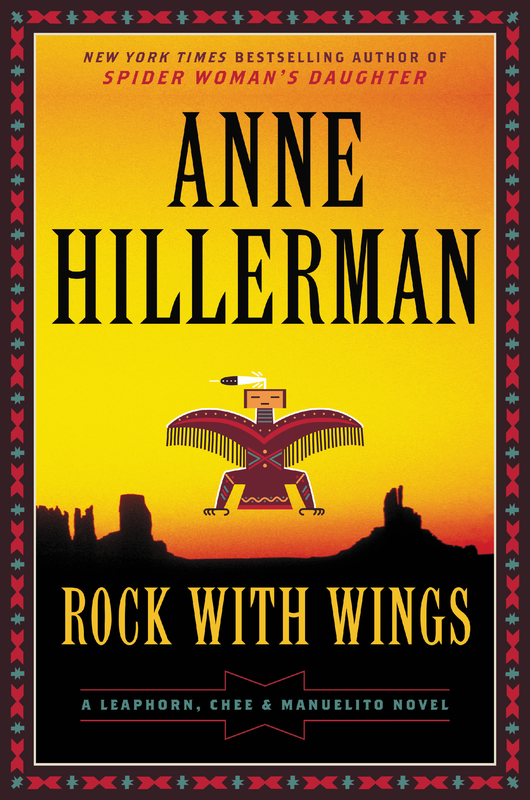 Look for my interview with Anne Hillerman next week. This book sounds great and I can hardly wait to read it!